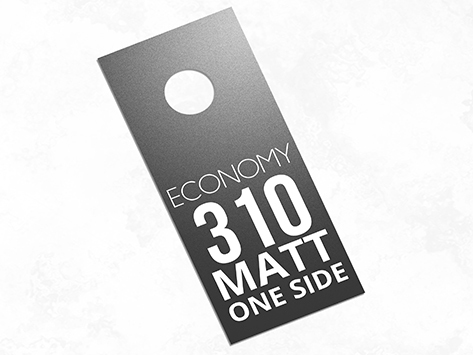 Door Hangers 310gsm with matt cello single sided are probably at least a thousand more times more powerful than you might imagine. Think about it. If you're approaching a door for the very first time, and a sign or hanger is prominently on display, you're going to read it. Love the “IN ROOM DINING MENU." Signs when I am on holiday, what about you? Sunshine Coast is renowned for many Hotels, and accommodation places and to have In-Room dining is what makes a holiday. Tick and cross when you want your breakfast delivered, in room and with no dishes to wash up. Heaven! Whatever the reason, it's a guaranteed certainty that an attention-grabbing Door Hanger Sunshine Coast will be read - and taken very seriously. So, this is a really effective strategy for getting your business, brand, and contact details firmly implanted into the hearts and minds of your future customer base, without them even consciously realising it. We can create something truly compelling, containing the perfect marketing ingredients to maximise this unique opportunity. It pays to get the right creative team behind your design and format. Whatever you choose for your final design, you can rest assured that Idprint will deliver the innovative results that will be opening many more doors for your business!